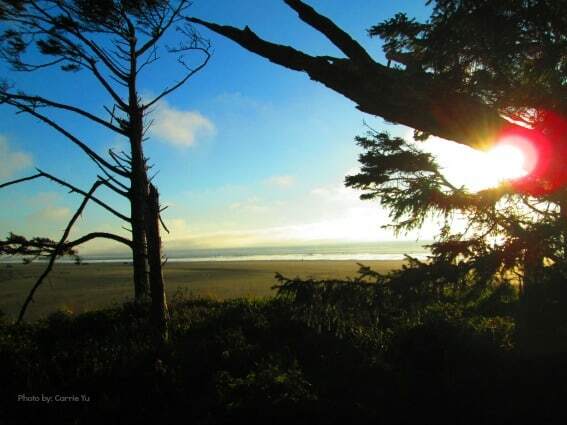 The Washington coast at Iron Springs Resort can only be described one way- spectacularly beautiful. Towering forests of evergreen trees border the sandy beaches and crashing waves of the Pacific Ocean. If you want to get back to nature while enjoying some relaxation then Iron Springs Resort is the place to be. Originally built in 1947, Iron Springs Resort has been a vacation destination for generations of families. In fact, the current owners vacationed here for over 45 years before buying and renovating the resort it in 2010. From the moment my family walked through the front door of our cabin, we felt relaxed and delighted. The beds were covered with soft, fresh white linens, and the towels were clean and bright. The cabin was furnished with the same beautiful wood that encompassed the property and featured rustic furniture with high-end decor. I immediately wanted to curl up on the couch and spend the weekend just enjoying a cup of tea while basking in the beautiful surroundings. 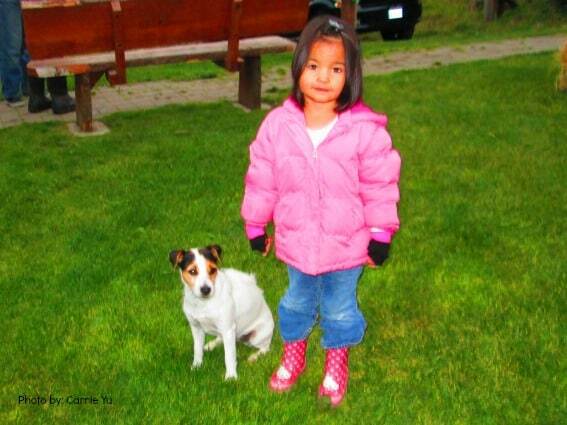 If you have canine family members who like to travel with you, Iron Springs Resort invites them to come along. The resort is incredibly dog-friendly with cabins equipped with dog food and water bowls, dog towels, and even dog bedding. You can bring along your precious pooch who will love frolicking on the beach with other guests’ canine companions as well as the resort’s own dogs. My kids were anxious to get to the beach as soon as we arrived, so we headed down a short pathway that led from our cabin through the forest and to the beach. We emerged on to the sandy beach and took in deep breaths of ocean air. The kids were soon happily digging in the sand, searching for shells, and poking sticks in to the water. The beach at Iron Springs isn’t just a fun place for building sandcastles; it’s one of the most multi-functional beaches that we have ever visited. The beach is a state highway which means you can drive your car right out on to and along the sand and it’s also home to the only sand airport in Washington State. The beach is also well-known as a fabulous place to dig for razor clams during clamming season. My family was lucky enough to visit during the first weekend of clamming season, so we decided to join in on the harvest. Luckily, we were able to purchase clamming licenses right at the resort office. Then we bundled up and headed down to the beach to do some digging. We had the good fortune to go hunting with some of the resort staff, which was invaluable, since we had no idea what we were doing. The staff quickly hit their quotas and then helped us locate and dig up our clams. 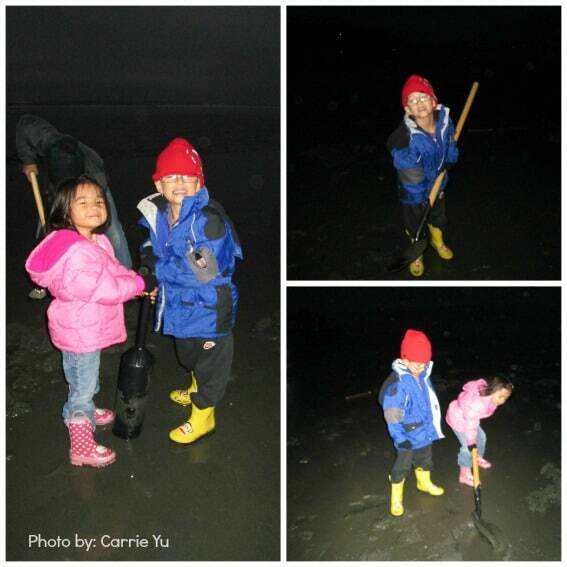 We learned that clamming is serious work, but we had a great time digging and pulling up clams from the deep sand. The resort offered a clam cleaning station so we cleaned our harvest and then returned to our cabin with a bag full of fresh clams and dreams of clam dinners to come. Interested in Iron Springs Resort’s Clamming packages? Check out the details on this special offer. Once you set foot on the Iron Springs Resort property, you’ll soon discover why this place has been a favorite destination to so many families for so many years. Iron Springs Resort is the perfect place to relax, take long walks, play in the sand, and enjoy spectacular views. 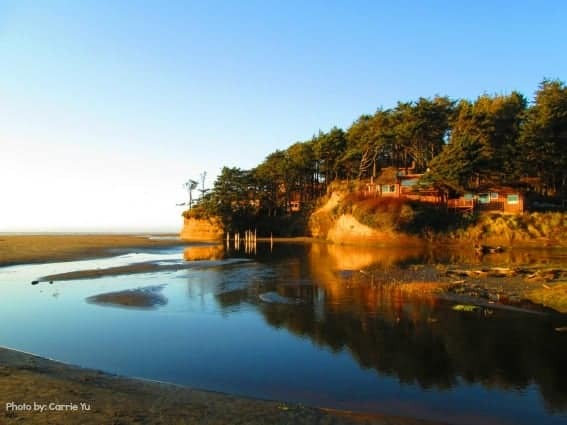 This Washington coast vacation destination was one of my family’s favorite places to visit, and we can’t wait to return. Read the inside scoop on Iron Springs Resort from parents who’ve been there. Disclosure: The author received a complimentary visit to Iron Springs Resort for the purpose of this review. She was not required to state any particular view; all opinions are her own. Be sure to read the rules carefully and know where to dig and when, and have a license!